Massey Place Community Church: A few upcoming events! The following events are things that we are supporting, participating in and just letting you know about. Please pay special attention to the locations, as they are not happing at our facility. Dr. Andy Bannister - this event is specifically for those who have questions about God, religion or faith. The questions of great & eternal significance that are important to each of us. He is a world renowned speaker and it is a great opportunity for us to have him in our city. 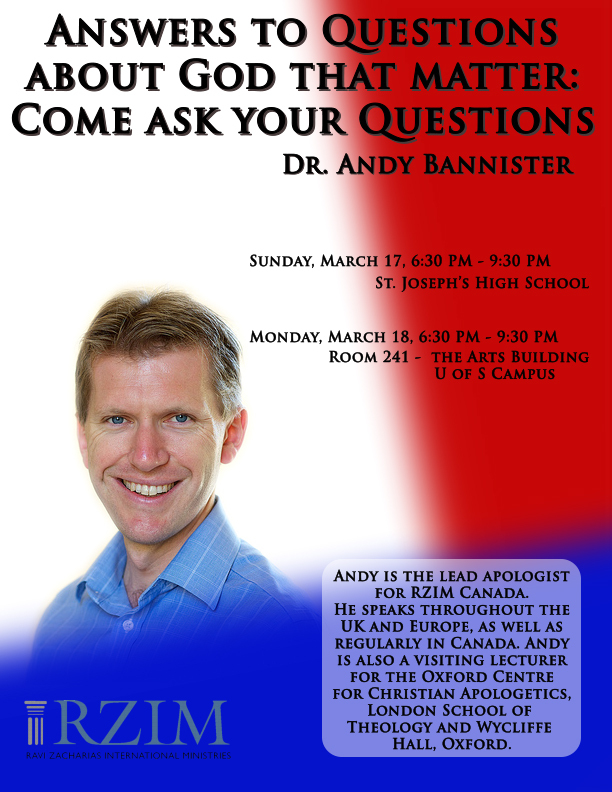 If you are interested, please make sure to bring other people with questions about God - that's what it's all about! 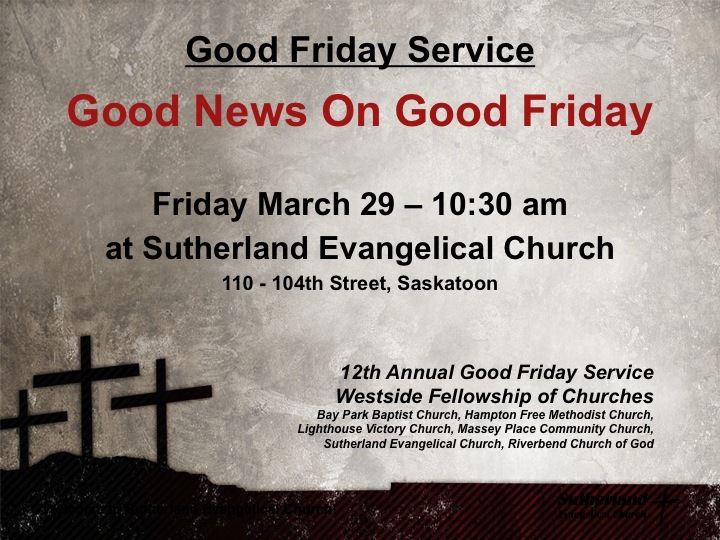 Next - as a church we have been part of the planning group for a joint Good Friday service the past 12 years. 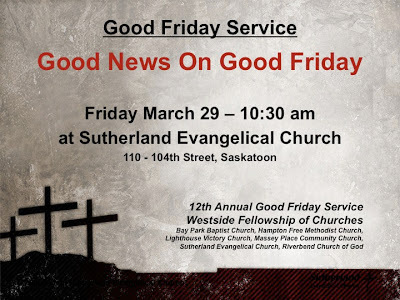 Again this year we are looking forward to this larger gathering at Sutherland Evangelical Church (110-104th St West, Sutherland), Friday March 29th, at 10:30 am. Come and join us! The Survival of the Weakest Conference - this April 13 - hosted at Lakeview Church. There are so many great people, and opportunities to see the world and all it's difficulties from a Christian perspective. 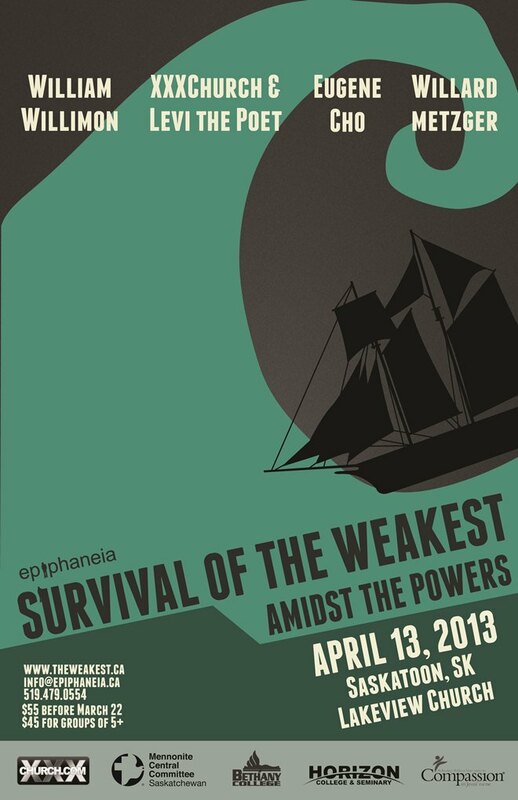 Check it out and if you are able I would encourage you to attend! We meet at 10:30am in English and 3:00 pm in Spanish! See you then!